Amazon.com description: Product Description: Even in a world of cyber commerce, nothing beats a face-to-face meeting. And if you're one of those men and women who make their living in this high-pressure, highly demanding environment, this new edition of Conceptual Selling will change the way you interact with customers and clients, and the way you conduct your business career. Book jacket. About: The Book That Changed The Way America Does Business In 1987 Miller Heiman published a book that turned conventional thinking on its head and offered powerful, practical lessons that broke down the boundaries of traditional product-pitch selling. 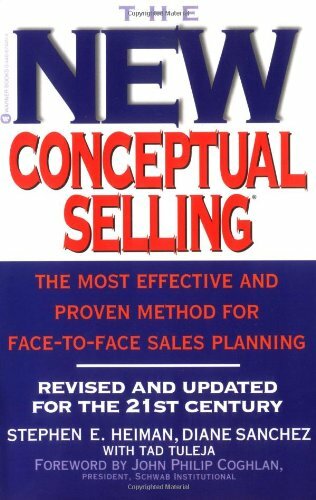 About: Outlines a variety of new techniques designed to change the structure of face-to-face selling and explains how to use a systematic process to produce significant and reliable sales increases.